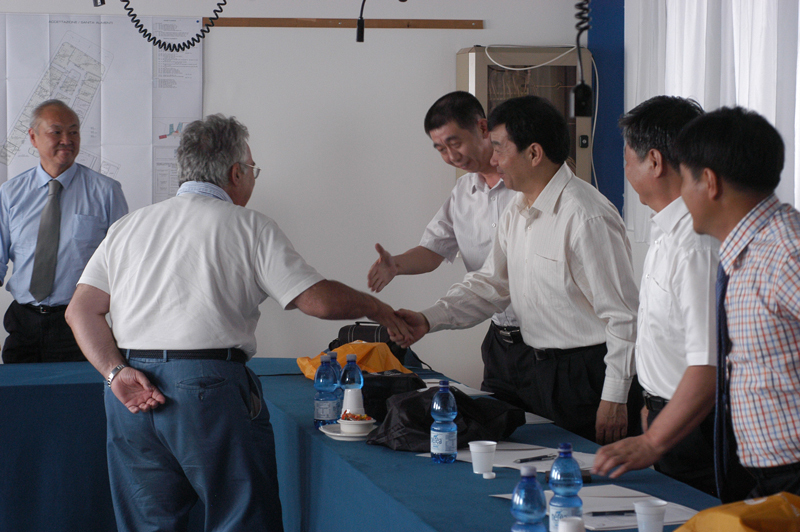 The Chinese delegation with Giacomo Migliorati (ICT) and Orazio Di Marcello, Mayor of Mosciano Sant'Angelo. 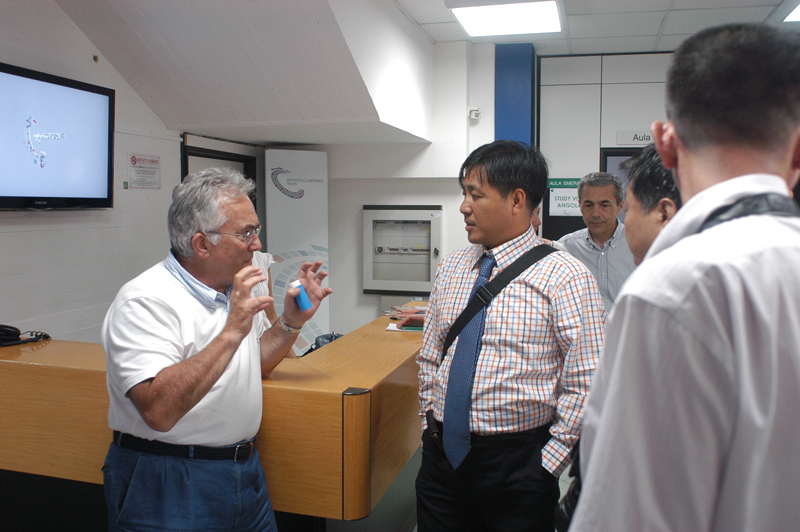 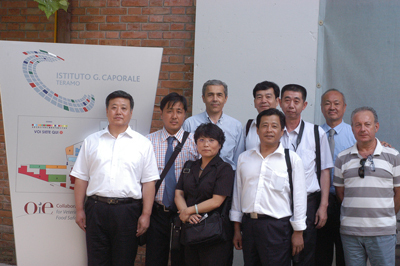 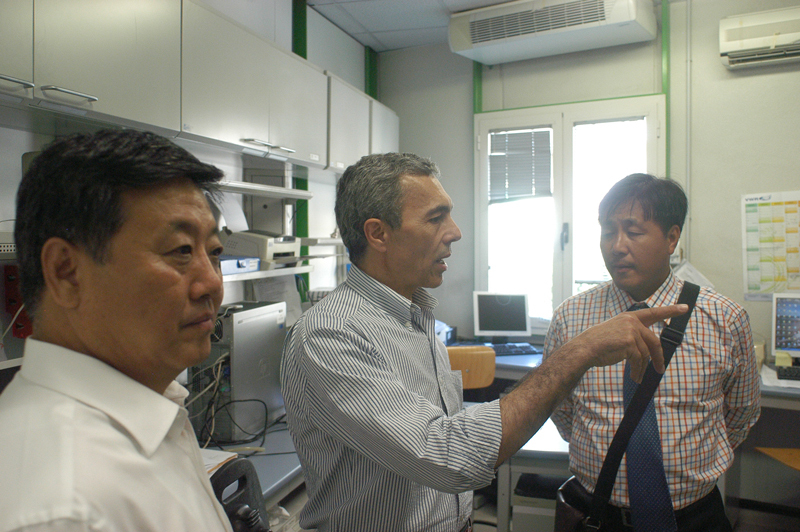 A delegation of administrators from the Chinese province of Tientsin (Tianjin) visited the headquarters of the G. Caporale Institute (ICT) in Teramo on Friday 15 July 2011, accompanied by Orazio Di Marcello, Mayor of Mosciano Sant'Angelo, in the course of a series of institutional and twinning meetings. 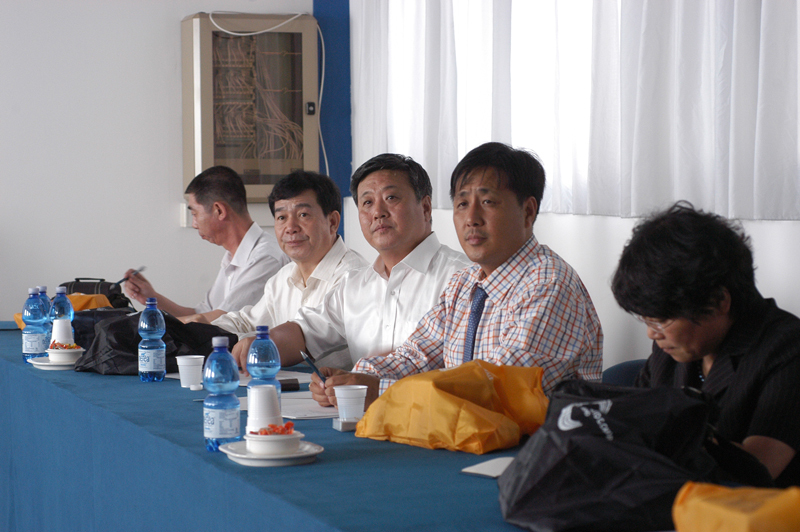 The meeting was inspired by the need of Tientsin, the fifth-largest province in the People's Republic of China with over 18 million inhabitants, to increase the safety levels of the food it produces and guarantee a high-quality production chain. 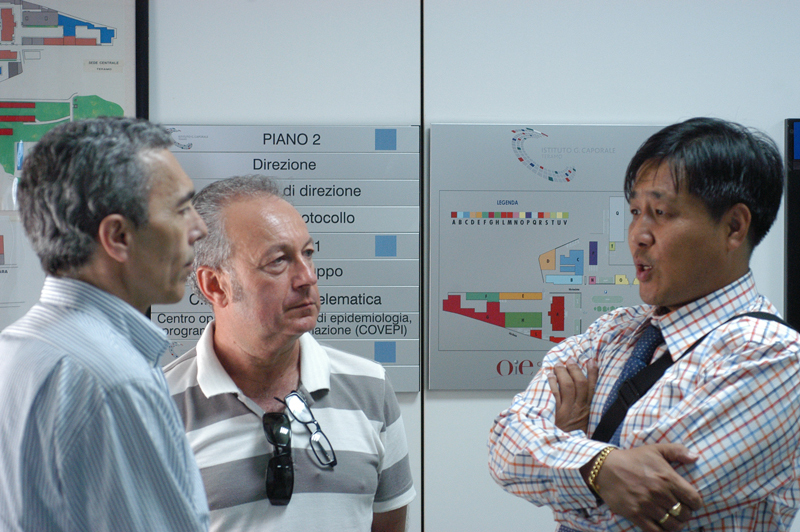 The Chinese delegates met the Institute's Director, Vincenzo Caporale, and its executives, who illustrated the international training programmes and high level of services provided by the Institute, which is an accredited food safety training centre. 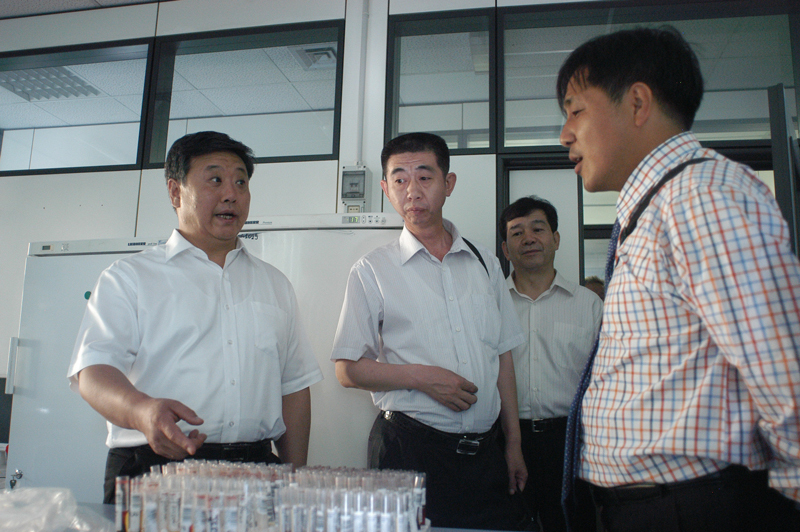 The G. Caporale Institute has offered to collaborate with the Tientsin administrators, and a Memorandum of Understanding has been drawn up, relating to the commencement of training for food safety inspection personnel in China.